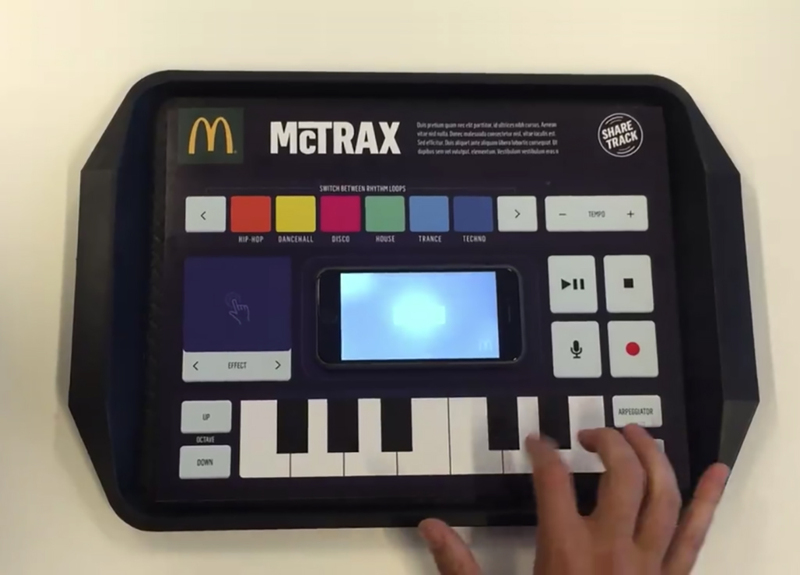 This Page Amsterdam, TBWA\Neboko and Novalia collaborated and produced a musical placemat called McTrax for McDonald’s. 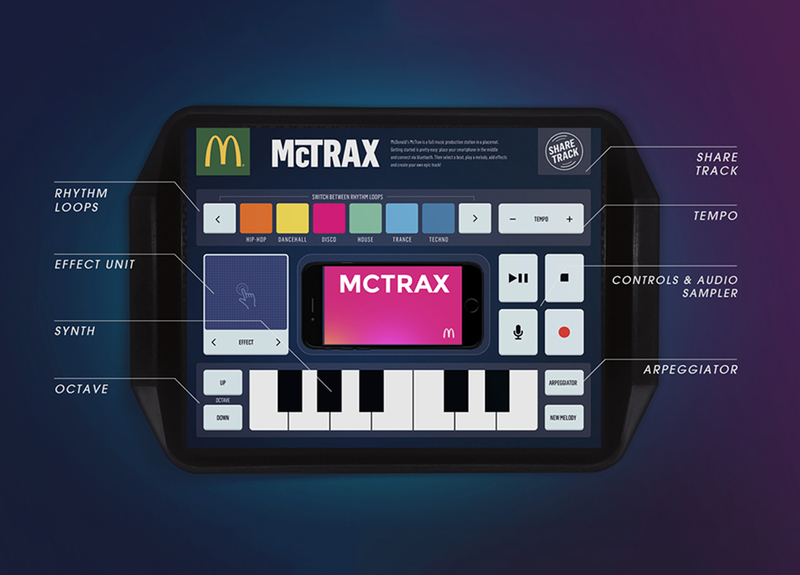 The McTrax placemat is printed with conductive ink and is wirelessly connected via Bluetooth with your smartphone. This allows you to use the placemat as a full music production studio. You can select different kinds of music loops, play effects, regulate the tempo and record your own voice. 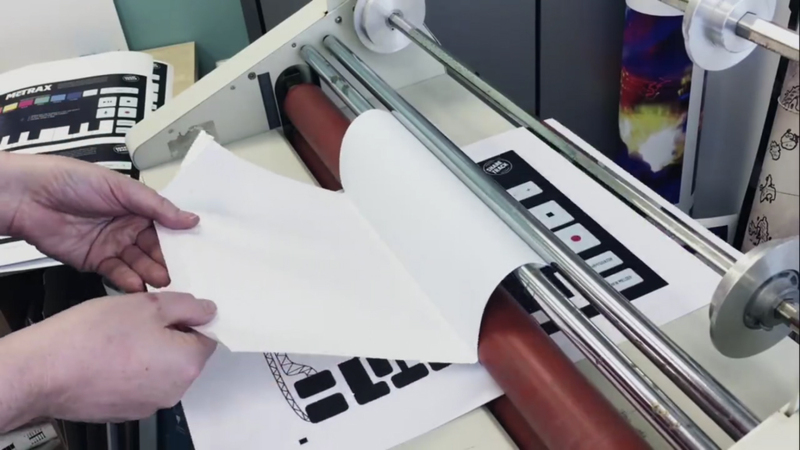 The placemat is your tool and your smartphone is the speaker and the feedback screen. 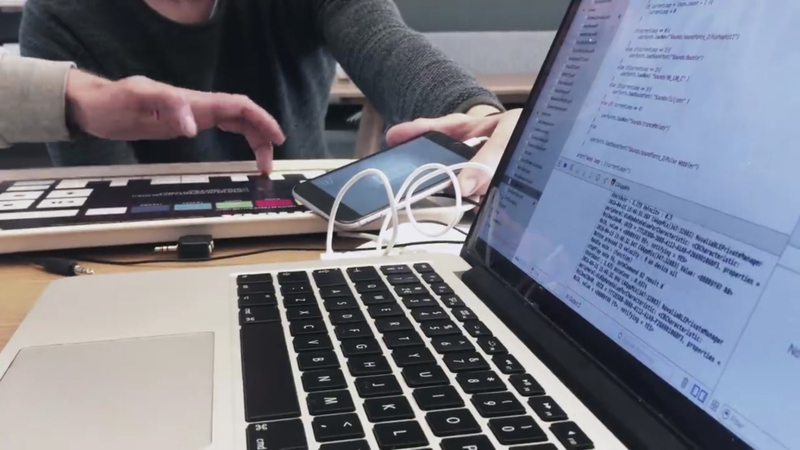 By combining a really good app – almost a full music studio – and the paper placemat they have created a unique online/offline experience.